Let's Go to Gatsby Books! 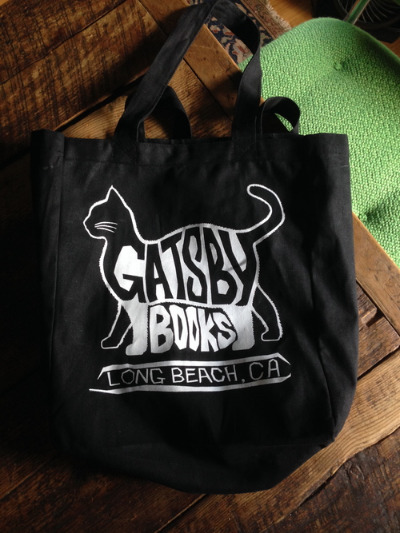 On Independent Bookstore Day wear your Gatsby Books T-shirt or bring your Gatsby Tote bag into our Spring St. bookstore and get 25% off your purchase of gently-used books! *Special orders and gift certificates excluded. Don't have a t-shirt or tote? Pick one up at Gatsby Books for only $15 and join your fellow book lovers on Independent Bookstore Day to celebrate real people in real places. Independent bookstores are not just stores, they’re community centers and local anchors run by passionate readers and writers. They are entire universes of ideas that contain the possibility of real serendipity. They are lively performance spaces and quiet places where contemplative perusal is a day well spent. The Best-Loved, Independent Bookstore in Long Beach!